A photograph showing The Beatles walking back to Abbey Road has sold for £16,000 ($25,000) at auction. 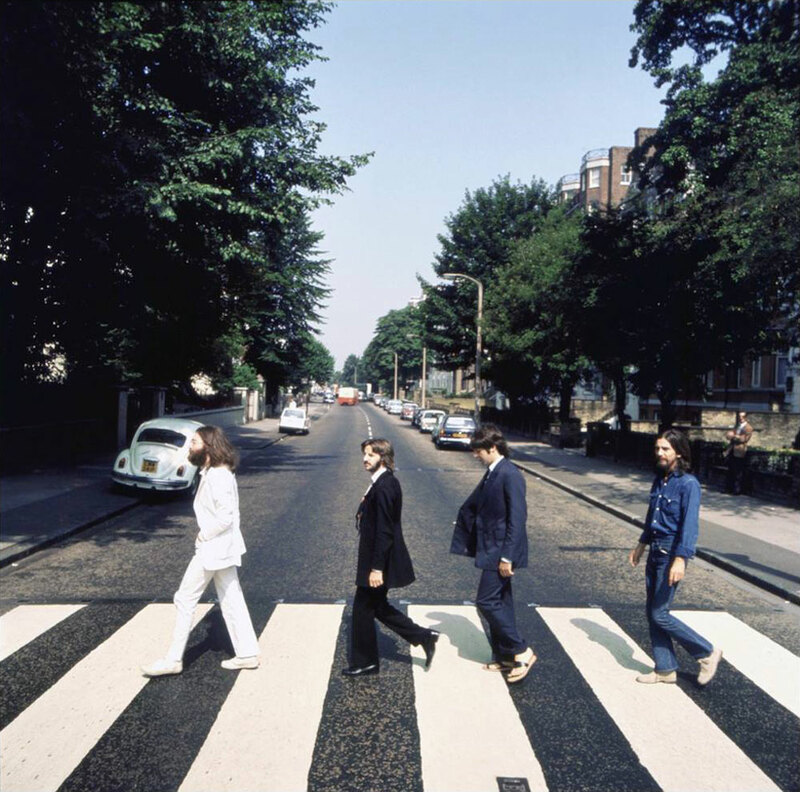 The photograph by Iain Macmillan was taken on 8 August 1969, as one of six shots taken for the Abbey Road album artwork. Macmillan was given just 10 minutes to photograph The Beatles as they walked across the famous zebra crossing. For four of the six photographs McCartney walked barefoot; for the other two he wore sandals. The outtake was expected to sell for £9,000, but fetched nearly double at Bloomsbury Auctions. Macmillan had 10 minutes to do the shoot and he took six photographs of the Beatles walking backwards and forwards across the zebra crossing. He was standing up a ladder to take the pictures. The photo has been called an icon of the 1960s. I think the reason it became so popular is its simplicity. It's a very simple, stylised shot and is a shot people can relate to. See the complete set of photographs from the Abbey Road cover shoot. Not surprising , one funny note about Abby road, a relation of mine worked for London council and the main job was to keep the paint on the famous crosswalk fresh , even today the area gets so many tourists it’s a weekly thing. its amazing what it means to so many, much like Srrawberry Fields outside the Dacota in New York, nice . The present crossing and the one on the album are not the same one. It was moved further up the road. Doesn’t matter to people though.